The Bombardier CRJ200 electrical system has both Alternating Current (AC) and Direct Current (DC) electrical power with 115 volt AC and 28 volt DC. The CRJ200 electrical system for AC is driven by two engine powered generators, that are located near the engine. The Bombardier CRJ200 APU provides backup AC power. Also an air-driven generator (ADG), located in the nose section, can provide emergency AC power in case of a full electrical failure. The Bombardier CRJ200 electrical system for DC power is generated by 5 transformer rectifier units (TRU) which converts AC power into DC power. The Bombardier CRJ200 electrical system can be powered on the ground through the outlet located on the front right side of the CRJ200. The electrical power services panel, located on the overhead panel in the CRJ200 cockpit, provides controls for the Bombardier CRJ200 electrical system. CRJ200 electrical system information is displayed on the multi-function display in the CRJ200 flight deck. 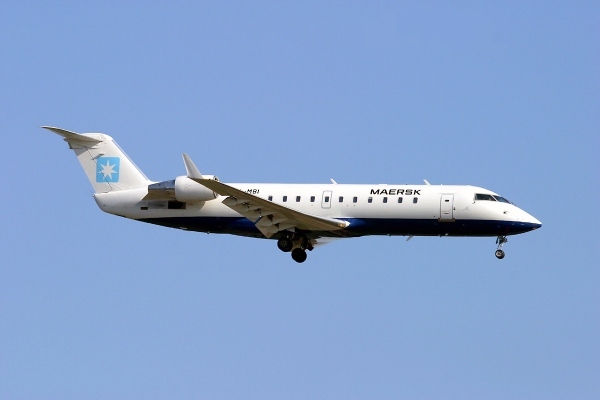 The Bombardier CRJ200 electrical system is also known as the Bombardier CRJ-200 electrical system, Bombardier CRJ 200 electrical system, Canadair CRJ200 electrical system, CRJ200 aircraft electrical system and the Bombardier CL-600-2B19 electrical system. Above Bombardier CRJ200 Electrical System Page Photo by Konstantin von Wedelstaedt on Wikimedia Commons. Photo (only) released under a GNU Free Documentation License. California Pacific Airlines Stops All Flights - What’s Next? FlyRadius is an aviation information website. Here on our website, you can learn more about aircraft, airlines, travel, and aviation in general. FlyRadius is focused on increasing access to information about the aviation industry.